So no big surprise I thought it would be good to include some Percy activities into our home learning. The kids love playing guess the animal game with us. One of the kids will describe an animal and then we need to guess what it is. There are a number of different woodland animals in the Percy stories so I thought we would try guess the animal but using cards that Pink had to read. Pink did really well and I only had to help with two of the tricky words. And of course you can not guess the animal without going to find the matching toy animal (Blue loves joining in). These are very simple cards but I am attaching the word document in case anyone else would like to use them. 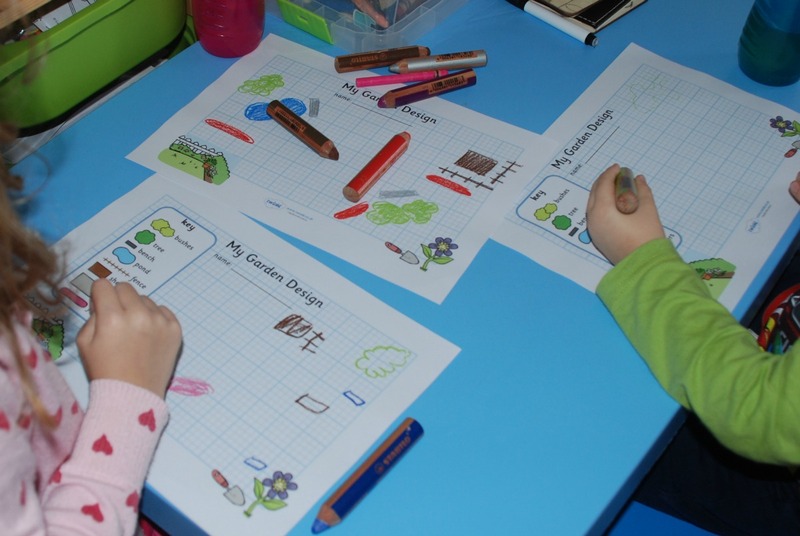 We also used the design a garden / design a park template from Twinkl. This was a huge success with both the kids getting involved. 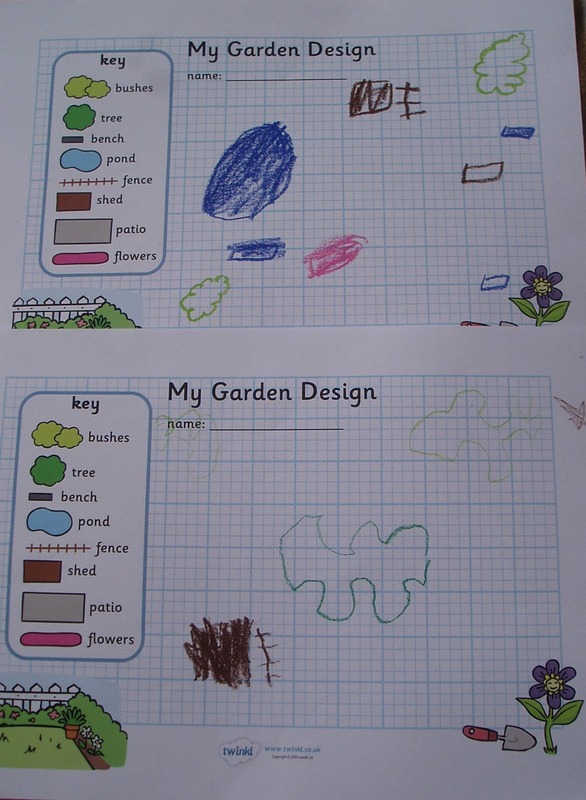 They discussed where the best place for a bench would be and if the flowers should be near the tree or the pond. 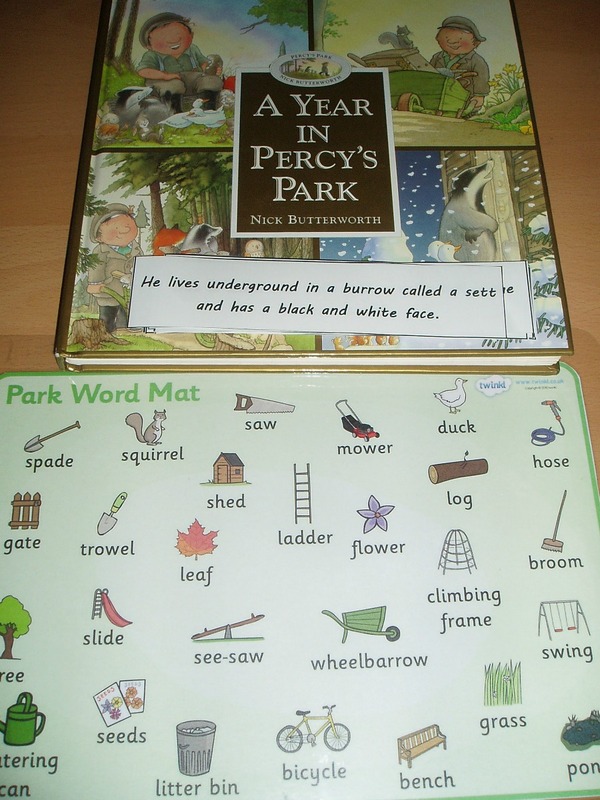 We downloaded these templates as part of the Percy the Park Keeper Role Play Pack from Twinkl (FREE to download). Pink also wrote some sentences about the characters in the book. 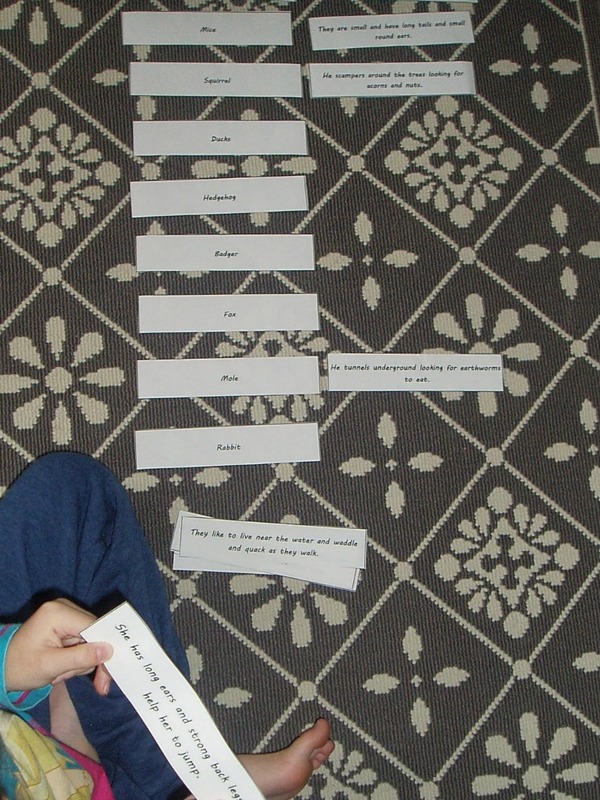 I printed of the Park Word Mat (Twinkl FREE) for her to use but she actually ended up using one of her Percy books to find the words that she was battling to spell. I was really happy to see her paging through the book looking for words and phrases to write. The lovely lined paper that we used is Pink’s favourite it is from activity village. I found these lovely Percy the Park Keeper animals to do with the kids on Damson Lane. But the Christmas bug seems to have landed and our craft area is now a Christmas card making station. Anyway I am keeping them and I am sure at some stage we will get around to making them, they look lovely. 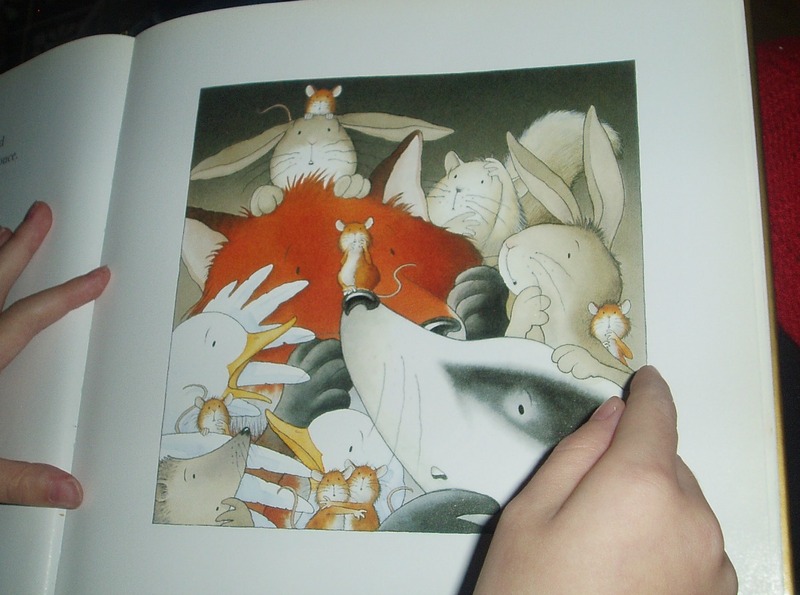 This entry was posted in Book Ideas and tagged children's book, guess the animal, home ed, homeschooling, ks1 english, Percy the Park Keeper, Twinkl. Bookmark the permalink. Thank you for sharing your blog post on my facebook page. It is lovely to see what learning has been happening in your home. 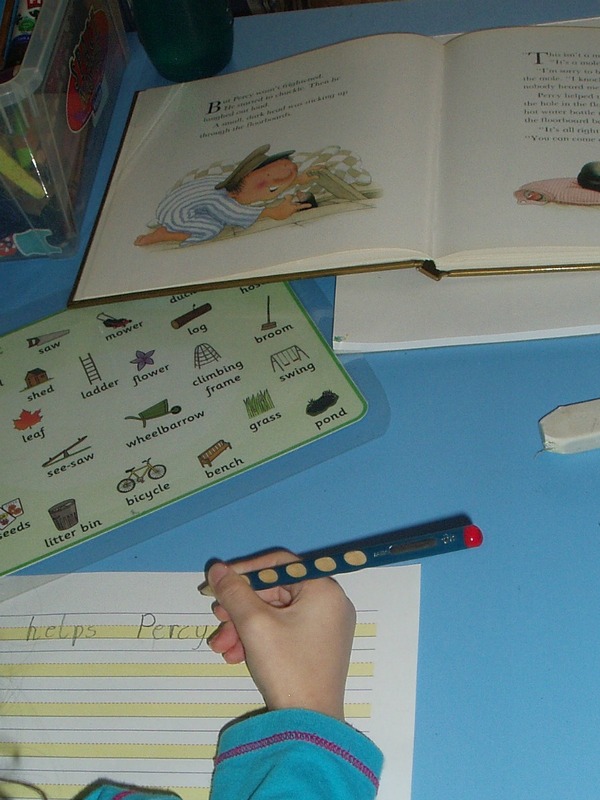 I love how you have extended the learning beyond the book using fabulous hands-on activities. Thank you my kids love doing activities based on a book. 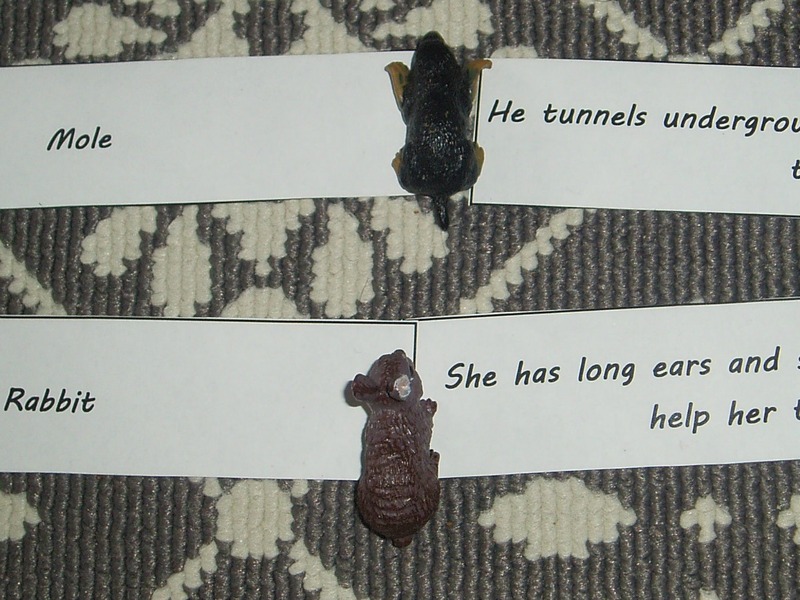 The guess the animal reading was a big success.